Search for a specific flight date and display details. 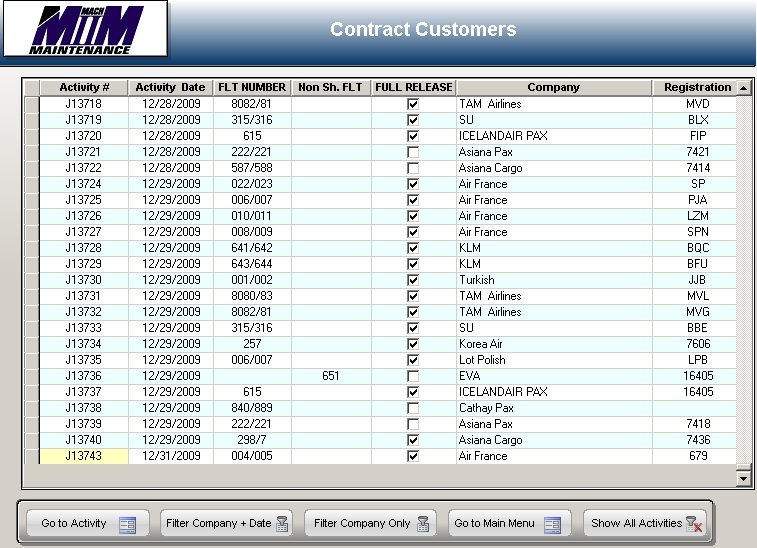 Print a time frame summary of all flights of a specific company with subtotals and totals. 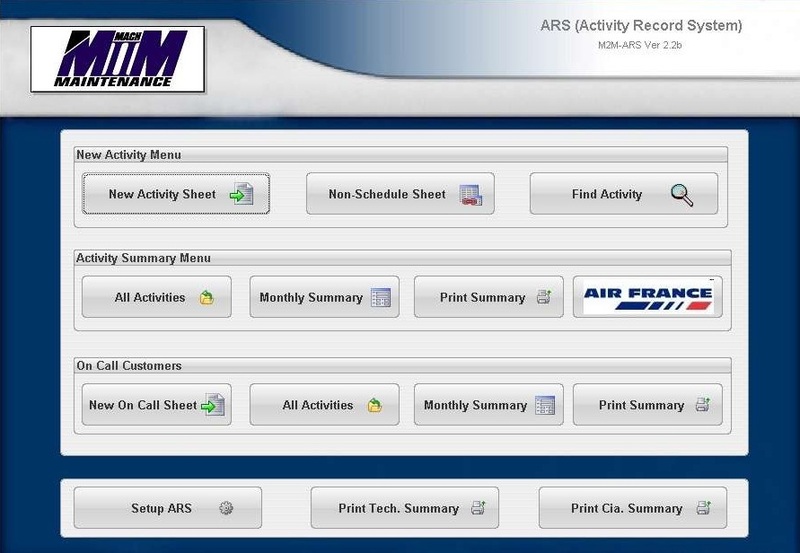 The ARS will allow your repair station to keep service records efficiently in a way that can be easily searched. FAA inspectors will be impressed at how quickly records can be found and reports are generated in seconds!